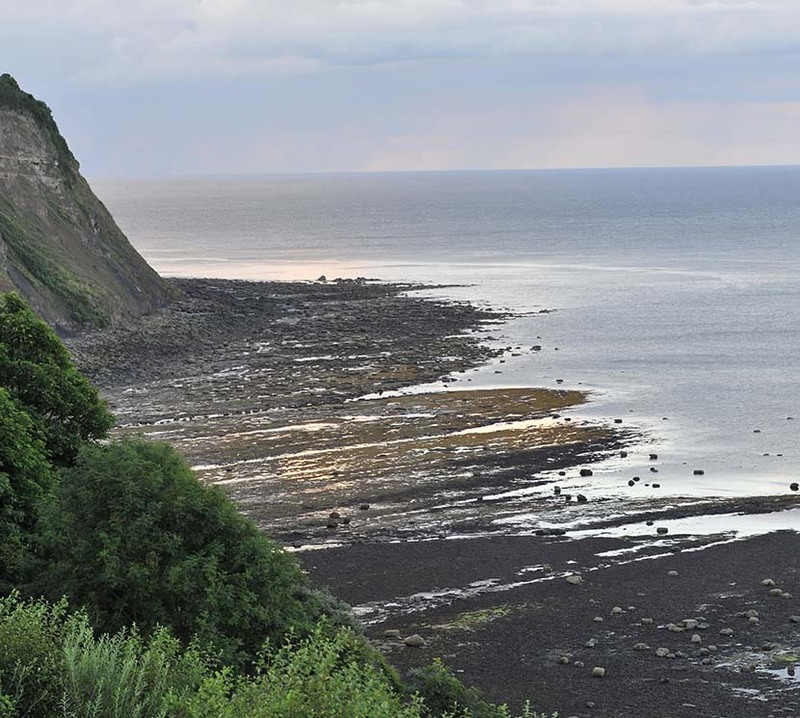 You might have noticed the rate of my posts going down in the last couple of weeks – simple reason : I was on holiday, on the Yorkshire coast, collecting and photographing ammonites. On the collecting side, it was hard work but some of the more remote locations I visited proved to be relatively productive – at least better than I had feared during this smooth-sea summer time. Nothing obviously being a fossil remains lying on the beach for long these days, accumulations of the so-called “cannon ball” nodules mostly containing Eleganticeras ammonites that we experienced during our first visits in the late 1980s are a thing of the past. Nowadays you need to look more closely, be at the right spot at the right time (after smaller or larger cliff falls have occurred) and be persistent, re-visit often to be there when large tides rework falls or the accumulated cliff debris on the beach. On a more sad and earnest note, I guess tragic accidents like the one a couple of weeks ago at Burton Bradstock, Dorset, where a young woman was killed by a huge rockfall, can happen on the Yorkshire coast as well – I have seen the craters in the shingle produced by freshly fallen large sandstone blocks from the very top, so be safe when you walk along those ever crumbling cliffs. Thanks also to all old friends who came to join me again in my collecting trips, it is so much more fun to collect with you out there than alone, and thanks also to new friends who I met first time in person, it was a great pleasure to get to know you ! You might also have noticed that I have updated the earlier “Rare and re-bedded” post with some new pictures and text – I did have the ammonite sent to our holiday location, the picture shown in the post previously was by kind permission of the seller of the ammonite – thanks again, Daniel ! A very marine picture of a large 20 cm nodule with a lower lias Lytoceras sp. Measuring an ammonite or How fat is a “fat Dac” ?